The latest arrivals to the international auto industry have been focused on some new issues as compared to the previous ones, now economy matters even more than power. Nowadays the mpg matters more than mph and that’s why the developers are concentrating on the development of cars with good fuel emission and mileage. The economy of the new cars is comparatively much better than that of old ones and here I am going to show some of those economical members that are earning up good name in the industry. Below is the list of top 5 economical cars of the recent era which are earning great name for them as well as for their developers. 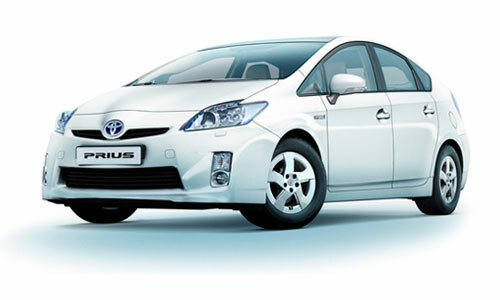 This is one of the most senior members of the Toyota’s family which is consistently getting more and more enhancements year after year and the latest one is this hybrid model of Prius. In terms of its style this model is truly a killer of previous ones and this quality of it gets even stronger if you look at the specifications of this car. With this model Toyota has actually proven the power of petrol-electric hybrid model and this car has been titled to be the best hybrid of the year by lots of the market experts. The price of the T3 hybrid is not very normal one but this thing is for sure that if you can afford this then you must not miss a chance to get this technological marvel for you that will give the best economy to you. This car actually combines the low torque of an electric engine with the high speed efficiency of the petrol engine and that’s why it produces such an amazing performance that is truly adorable. Another highly economical model that has been brought from Volkswagen and this 2nd generation of Bluemotion is especially named as the economical version this series. The previous version was also quite economical in its performance and in this new version the economy has been further improved. For this model it has been claimed that it can save about 3-8 grams of CO2 per kilometer and this ratio is not only good for you but also for the environment. In terms of style this one is really nice and stylish; the power has also not suffered in making it more economical. According to Martin Stamm, Polo diesel engine chief “Bluemotion is the pinnacle of what is achievable in fuel consumption and emissions”. VW is planning to bring the most environment friendly cars from its new lineup and this one is the major attempt towards achieving that goal. This is a hybrid model developed from Honda’s side and this is the first one to be using Honda’s Integrated Motor Assist System. 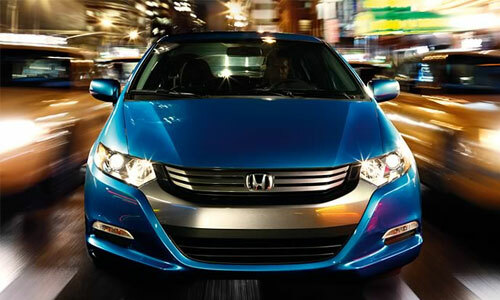 This car has always got the honor of being the most economical cars offered from the company’s side. The Unique Eco Assist system of this car increases the efficiency of this car that not only improves the overall performance but also strengthen its position in the list of economical cars. The style of the latest model is absolutely awesome; Honda has brought uniqueness in it by bringing on some new cuts and trims in this latest model. Honda has brought almost every new technology in this car and that all results in the best economical car that was previously not available from Honda’s platform. I have discussed previously that the Toyota Prius is the hot favorite in the auto markets and here I must also want to say that this one is the major competitor to that model. This is another very amazing green car that has got its place in the list of most economical cars of the international auto markets. The econetic is not only the best fuel efficient cars of Ford’s line-up but it is also the most stylish member of Ford’s family. It simply relies on the super-efficient diesel engine that brings the power in a very eco-friendly and enhanced way. With the release of Econetic line-up Ford has actually tried to bring the most efficient cars for the markets without even affecting the overall performance. With the record breaking low emission of CO2, this series brings the best ever mpg that you have never experienced before. In the cities this car gives the fuel efficiency of 4.6 l/100km and a highway cycle figure of a mind-bending 3.2 l/100km. this model is perfect in its styling not from the outside but also from the inside as well, you’ll find the amazing technological equipments and style in the interior of this car. 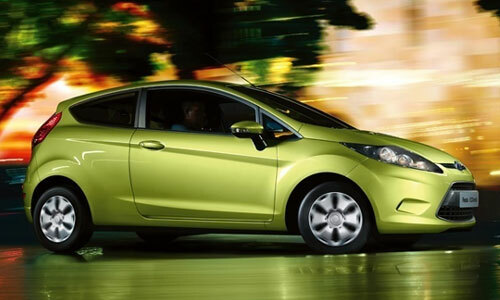 The sound system is same to the previous models by Ford but that is also good like the other features of this car. This is another very exciting urban micro-car developed by Toyota that is the best one in terms of its fuel efficiency and it’s a very active member of the economical cars offered by the company. The inspirational small design of this car is ideal for the city driving and with that it also features ultra low CO2 emission that is the best eco-friendly quality of this model. Don’t just go on the smaller outlook of this car because the interiors are quite much roomy and will also give you some place to carry on your important stuff like golf kit with you in the car. This car can give you maximum speed up to 150km/h and Acceleration 0-100 km/h is 14.7 that are also pretty good. So these were some of the tops models of economical cars that have been developed by the major developers of the international auto industry. This thing has now become very clear that the new trend of auto industry has moved towards the development of economical cars that gives the perfect mileage along with good fuel efficiency. Another good thing is that the eco-friendly trend has also flourished greatly nowadays.